DAF Trucks enters Malaysian market - DAF Trucks N.V.
DAF Trucks N.V. has concluded an agreement with Truck World Auto Assembly (T.W.A.A) in Port Klang, Malaysia, for the marketing, sales and service activities of DAF Trucks in Malaysia. DAF Trucks has thus extended its presence in the Far East, building on its success in places such as Taiwan, Indonesia, Singapore and Hong Kong. Malaysia Airlines has directly placed a first order for six DAF CF65 trucks. There are more than a thousand right-hand drive DAF trucks on the roads in Malaysia, imported by T.W.A.A. from the United Kingdom as used vehicles. The Malaysian importer now also wants to meet the demand for new DAF trucks. "DAF has an extremely good reputation in Malaysia", says Goh Tiong Guan, Managing Director of T.W.A.A. "The level of customer satisfaction is unprecedented. 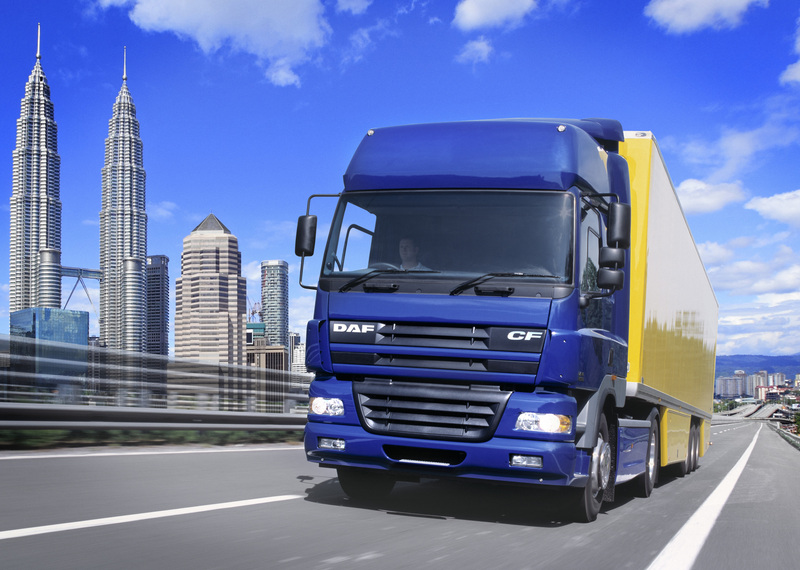 DAF trucks are renowned for their quality of construction, reliability and low fuel consumption. We therefore clearly stand out from the competition when it comes to total cost of ownership." DAF will start in Malaysia with three versions of the popular CF-series: a 2-axle CF65 rigid with a 6.7 litre PACCAR GR-engine and two 3-axle CF85 tractor units with a single or double drive and a 12.9 litre PACCAR MX-engine. "There is no lack of ambition", states Goh Tiong Guan. "We will actively serve the Malaysian truck market from the capital Kuala Lumpur. This market comprises approximately 3,500 units. We predict that we will be able to sell at least around 600 trucks per annum within the foreseeable future." DAF Trucks N.V. —a subsidiary of the American company PACCAR Inc., one of the world's largest manufacturers of heavy-duty trucks—is a leading manufacturer of light, medium and heavy-duty trucks. DAF manufactures a full range of tractor units and trucks, offering the right vehicle for every transport application. DAF is also a leading provider of services: Multi Support repair and maintenance contracts, financial services from PACCAR Financial and a first-class parts delivery service by PACCAR Parts. In addition, DAF develops and manufactures components such as axles and engines for bus and coach manufacturers worldwide. DAF Trucks N.V. has production facilities in Eindhoven in the Netherlands, Westerlo in Belgium, Leyland in the United Kingdom and Ponta Grossa in Brazil, and over 1,000 dealers and service points in Europe and beyond.